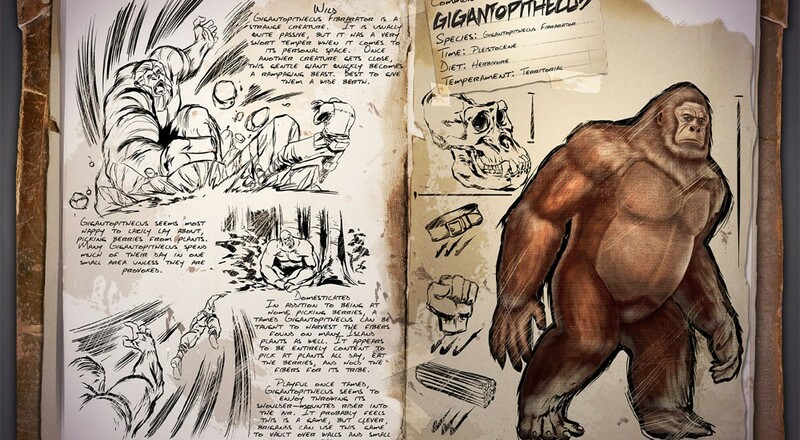 Ever wanted to tame a huge ape-like creature, then put a helmet on its head, ride it around, and have it toss you over walls in a strategic manner? Well, you're in luck, because ARK: Survival Evolved is promising to offer just that possibility. ARK: Survival Evolved will release later this year on PS4, Xbox One, and PC with up to 16-player online co-op. It is currently on Steam Early Access, and will also be part of Xbox One's Game Preview program (Xbox One's version of Early Access).